The West Highland White Terriër is a lively and energetic breed with a generally good nature, but also intelligent and pretty stubborn. Westie puppies can be a real hand full: they go and sit in the windowsill, try to climb on the table, nick dirty socks from the laundry basket and pee on the rug even though you have explicitly tried to tell them not to. Next to that Westies are definitely not the lapdog type of dog: they are too independent to be held for long periods. And if they want to sit on your lap, they determine when and for how long. A Westie may under no circumstance express nervous or aggressive behavior. 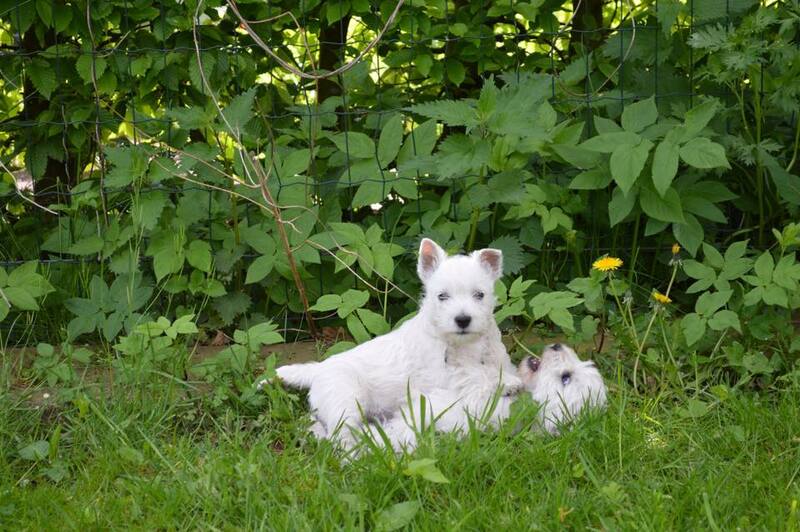 A West Highland White Terriër is not the easiest dog to raise. A strict and consequent upbringing suits them best: no is and remains no. When a 9-weeks old puppy is looking at you with those pleading eyes that can be a hard act to pull. But if you want your puppy to grow up to be a pleasant dog that you can take with you outside and into social situations, being tough is the only way of getting that pleasant and social dog. You should keep this in mind while raising your puppy, because they really want to be taken out and be outside with you. 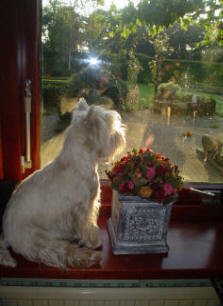 A Westie loves being actively involved in your daily household activities like gardening (digging out flower bulbs, turning over your lawn), driving and going on a vacation. 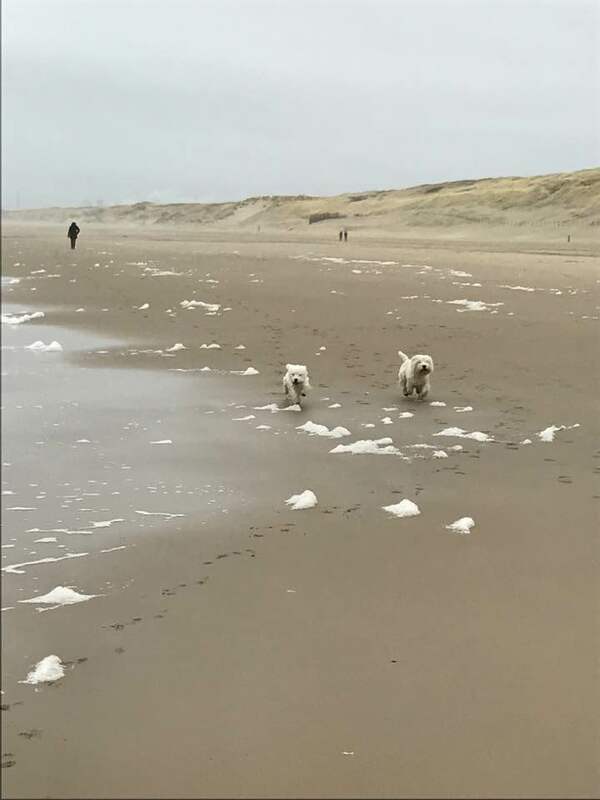 Therefore a Westie is not a dog to be left home alone for days, but when a short period of being alone is necessary sometimes the dog will not mind if it has a little friend (another Westie) to be home alone with. 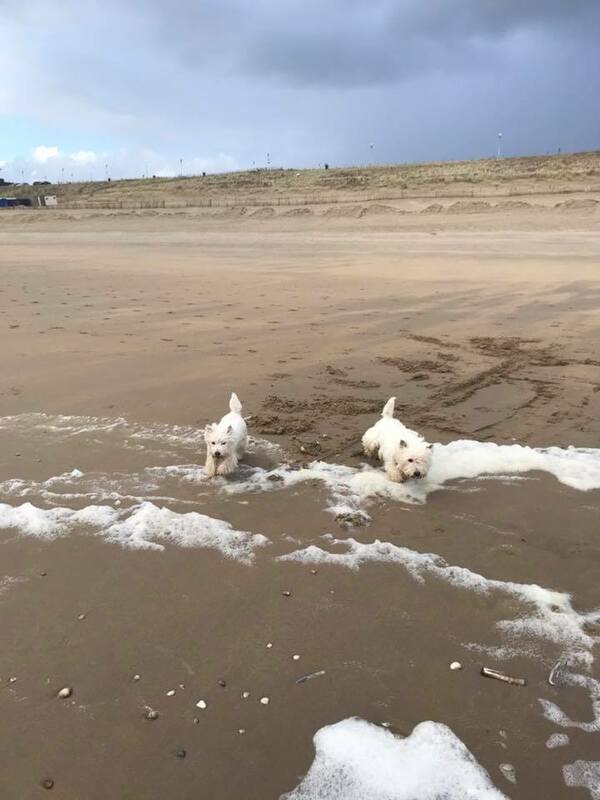 Taking a puppy course is a great help in rearing your Westie and all the energy you put into it you will receive back from the dog tenfold.